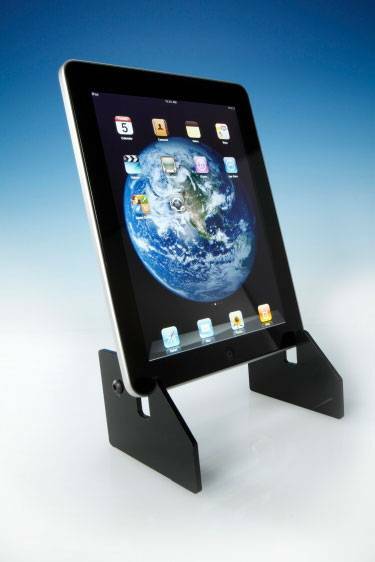 Affordable and perfect for displaying your Ipad at just the right angle, our Ipad display stand is the perfect solution for home or office. Made with sturdy 3/16" black acrylic and a 1/2" rod to hold the ends together, all edges are flame polished for a quality finished look. Stand offers easy access to the Ipad's dock connector for charging or syncing. Also has two cutouts so that you adjust your Ipad's angle of view. Perfect for hands free viewing of your Ipad! !